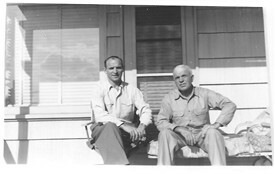 Marty Fahey passed on an article written by Bob Rakow on August 4th 2013 about his father Martin, a Roxboro man (born, Roxboro, Ballinrobe, 1919). See below for extracts from that article and information below. A man who never forgot his roots; he promoted everything Irish in Chicago over many decades; “he was the voice of the Irish community in Chicago”. 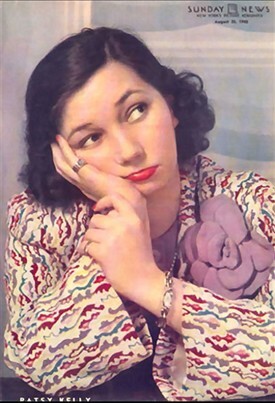 The Kellys were from Ballygarris; his Mother's uncle was a local horse trainer of some renown - Henry Kelly - and his maternal Aunt, Patsy Kelly - was a Broadway and Hollywood film star/comedienne from the 1930s-late 1970s. 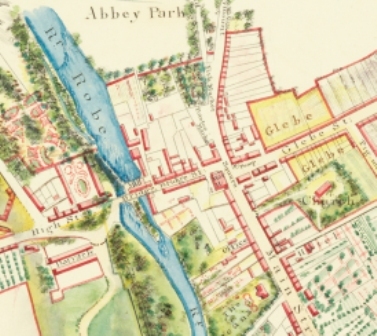 Like his Father and Grandfather before him, he worked at Cloonee House before leaving for London and with the Mayo County Council. His other siblings also worked at Cloonee in the 1940s, '50s. 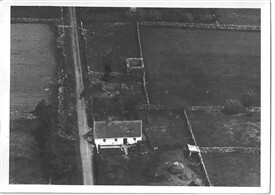 The oldest of 6: Martin, Mary (Burke, Knockadoona), Edward "Ned", Paddy, Bridget (Graney) and James. 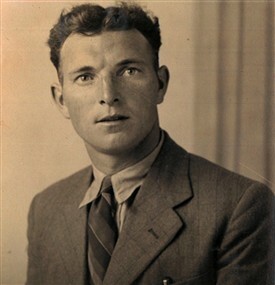 Two of his siblings - Ned and Mary - stayed in the area; the others emigrated to Chicago with his sister Bridie (Graney) still living in Southern California. Martin Fahey arrived in Chicago in 1947 and devoted the next six decades to sharing the music, dance and culture of his native Ireland with the Irish community throughout the Southland. Martin was the voice of Chicago’s Irish community, hosting a weekly radio program and serving as master of ceremonies for St. Patrick’s Day celebrations as well as Irish concerts and dance competitions since the 1950's. “He was the master of ceremonies of every Irish concert and event I can remember, going back to my very earliest memories,” said Mr. Fahey’s daughter, Sheila Fahey, a Tinley Park resident. “He had a great voice and cadence. It just came natural to him.” Mr. Fahey died July 26. He was 93. “He touched the lives of many people over the course of his wonderful, full 93 years,” said Mr. Fahey’s son, Marty, during a eulogy at his father’s funeral Mass at St. Catherine of Alexandria Catholic Church in Oak Lawn. Mr. Fahey initially hosted a radio show on Sunday nights from Hanley’s House of Happiness, an Irish tavern on 79th Street in Chicago. The show later moved to Hoban’s Pub on 63rd Street. He frequently filled in on Jack Hagerty’s Saturday morning Irish radio program, which was broadcast from a station in Oak Park. Hagerty’s show followed one hosted by legendary Irish broadcaster Tom McNamara. 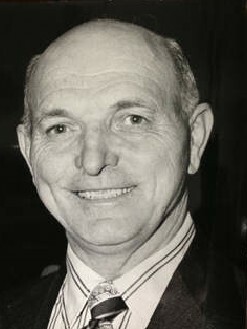 Mr. Fahey took over the show when McNamara died and hosted it for several years. “He took great pride and joy in bringing, as he said, ‘the music and songs of my native land’ into the homes of his listeners every weekend. He was a devout Irishman to the core, and he had great respect and love for Ireland’s many wonderful attributes and traditions,” said Marty Fahey, a long time Irish musician. Mr. Fahey was well known for creating and hosting “Ireland on Parade,” a week-long St. Patrick’s Day celebration that started in 1967 at Ford City Mall. 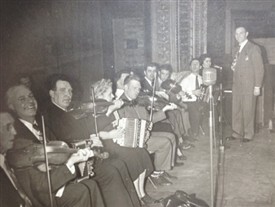 The show — which featured Irish musicians, dancers and singers — eventually moved to the Glendora House in Chicago Ridge and later to Gaelic Park in Oak Forest. Mr. Fahey also served as a master of ceremonies during Gaelic Park’s annual Irish Fest each May. 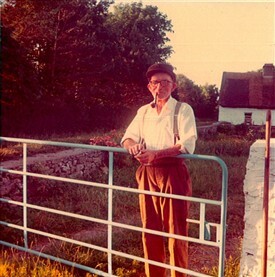 Mr. Fahey arrived in the United States on July 4, 1947, after spending seven years in England, where he worked as a chauffeur. He graduated from an Irish Christian Brothers secondary school in Ireland [probably Ballinrobe] and worked for Mayo County Council. He worked for Standard Oil in the States for 35 years and retired as fleet director. Mr. Fahey also was known for his dedication to charitable causes and Irish organizations. He helped run fundraisers for the Columban Fathers and the Medical Missionaries of Mary. He and several friends started the Mayo Men’s Association, later renamed the Mayo Association of Chicago, and was one of the group’s first presidents. Marty Fahey described his father as a man of faith and principle. 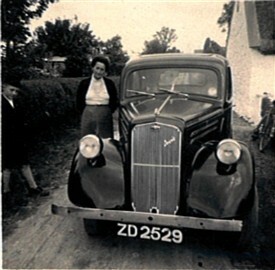 Mr. Fahey married Rita Madden in 1951; she died in 1971. Two years later, he married Mary Campbell, a long-time Irish dance instructor and an adjudicator. 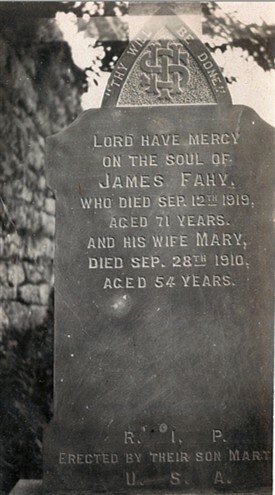 In addition to his two children and wife, Mr. Fahey is survived by four grandchildren; a sister, Bridie Graney; and several nieces and nephews. Burial was at Holy Sepulchre Cemetery. This page was added by Averil Staunton on 05/09/2013.